An enticing novella from the bestselling author of The School for Brides, featuring Rose Bailey—a former courtesan, well practiced in seduction, about to learn the art of love. As a courtesan, Rose Bailey learned how to seduce men by playing the coquette. 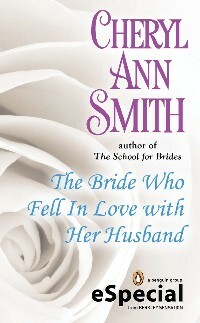 As a student at Miss Eva Black's School for Brides, she learned the manners of a proper wife. But her husband, Thomas Stanhope, was drawn to her spirited nature, and does not want her to merely play a role. Now Rose has one final lesson to learn—how to let herself love, and to truly be loved.